← All new client galleries and print ordering services! I've been going through my old weddings and blogging the ones I never got a chance to before. 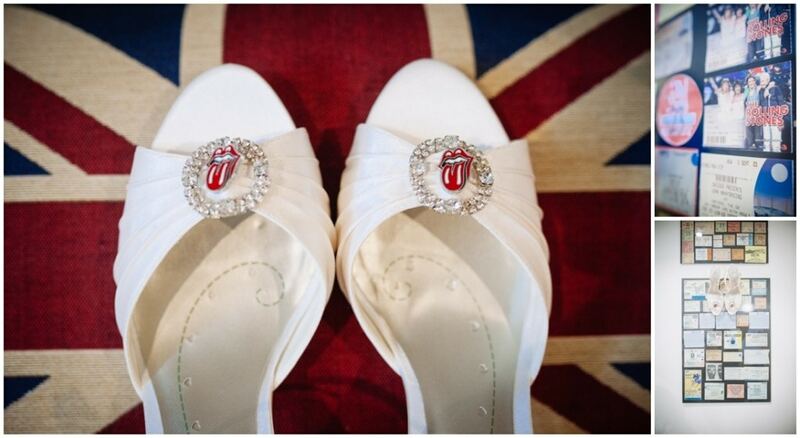 This awesome Rolling Stones themed wedding was featured on Rock N Roll Bride and I've updated the editing to share the shots with you here! Chris and Julia were really inspirational to me, they were both free spirits and had met late in life. When they met they realised they'd been going to the same concerts all their life and they shared a huge love for The Rolling Stones. They were both so happy and full of laughter, didn't give a tosh about norms and expectations, they completely did life their way and I really hope that I can be like them when I get older! Their flat walls were covered in gig ticket stubs and rolling stones memorabilia, cushions, passports. The memorabilia included the saucy some girls posted that I hung Julia's dress on! Julia wore rolling stones licks pins in her heels and a 60s style lace mini dress from Monsoon. Chris wore a lovely blue suit with skull and crossbones cufflinks. 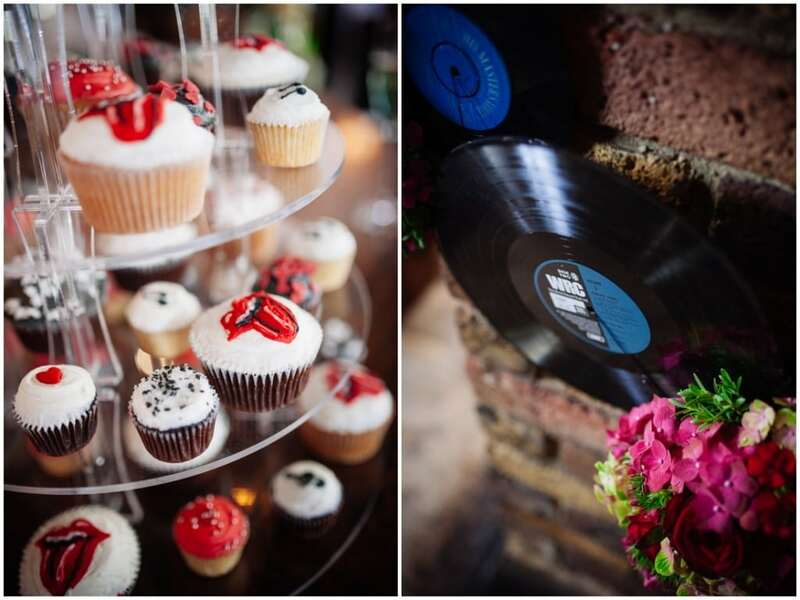 They got married at the Chelsea Registry office and then nipped down to their local pub which was decorated in vinyls, red flowers, daisies and rolling stones plectrums! The pub services some tasty salmon and strawberry trifle for afters. Their friends were all wickedly hip, I don't know if they were told to dress in a rockers throw back style or if they always rocked the swirly and furry jackets, but either way they were brilliantly fun to photograph! Chris gave a lovely speech and thanked Julia for agreeing to marry him, which was so touching! 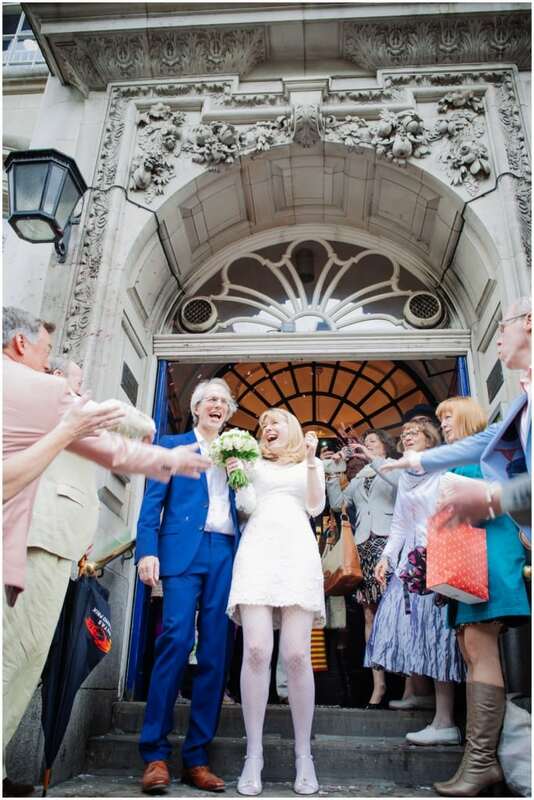 All in all it was a fabulous but relaxed and fun wedding which will always be one of my favourite wedding memories from 2013! 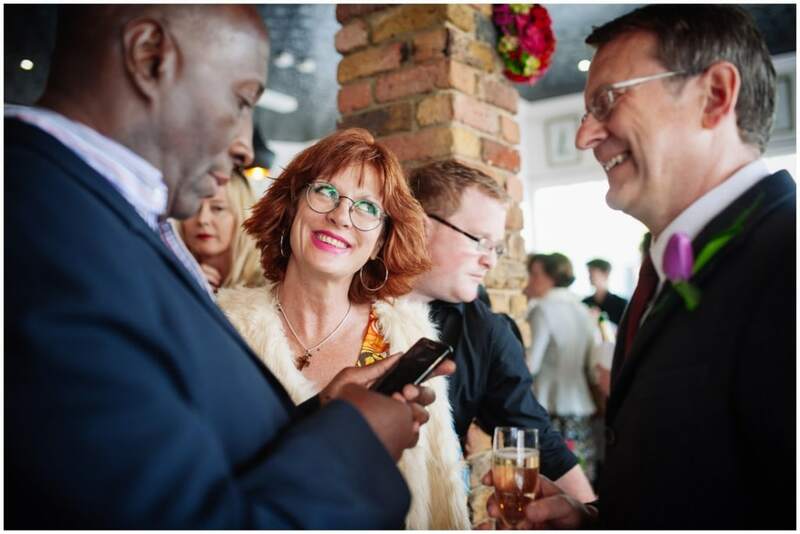 This article was posted in Real Weddings, Stuff For Married-To-Be's and tagged alternative, chelsea, fun, fun london wedding photographer, fun wedding photographer, london, photographer, photography, pub, relaxed, rock, roll, rolling, stones, themed, wedding. Bookmark the permalink. Follow comments with the RSS feed for this post.Post a Comment or leave a trackback: Trackback URL. 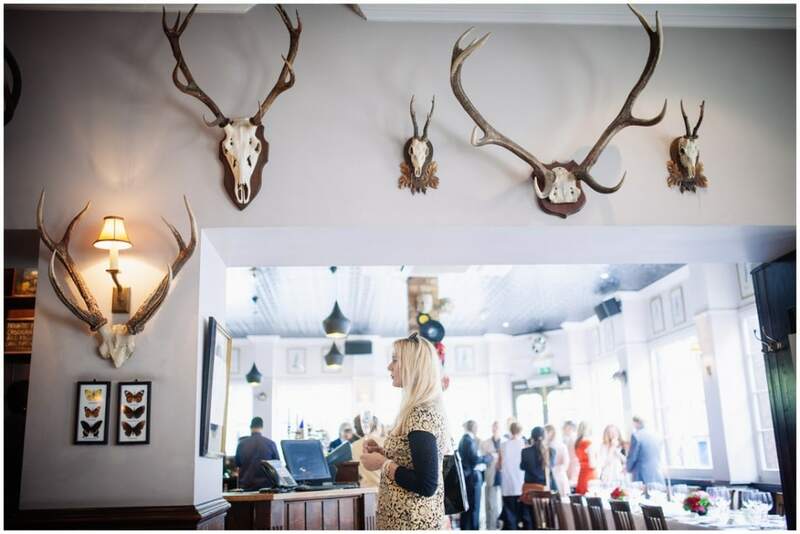 What a cool laid-back wedding – pub receptions are the best! 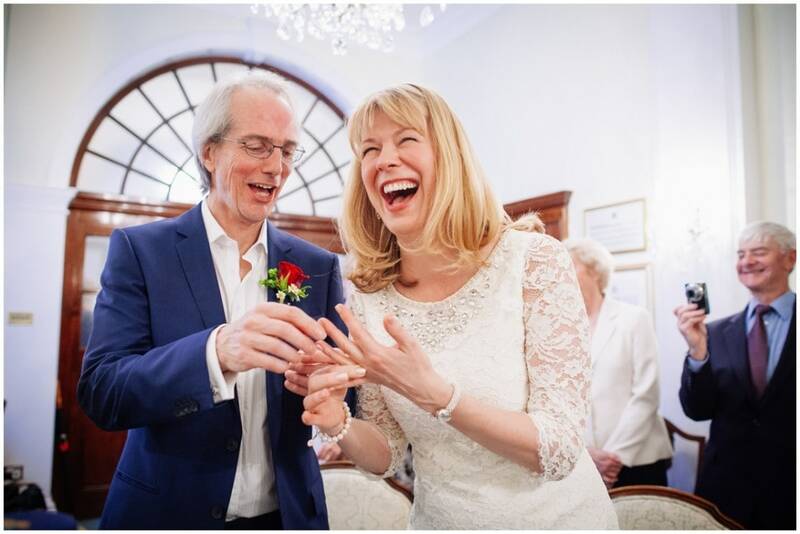 Loads of gorgeous happy photos. Love the bride’s dress too. super cool wedding! looks loads of fun! Lovely and laid back my fave! This looks like such a cool wedding and the brides dress is absolutely amazing! Brilliant theme! Such a cool wedding. 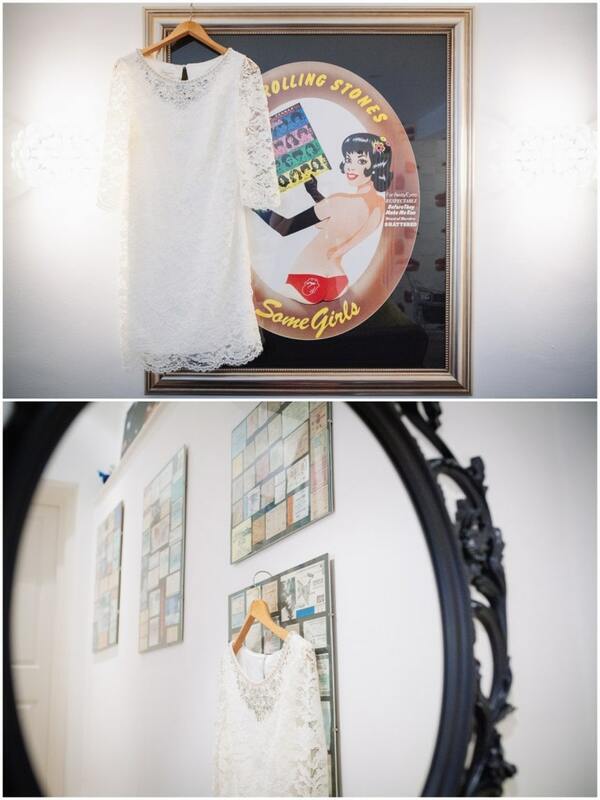 I love the shot of her dress hanging up photographed through the mirror. And those cupcakes look amazing! Did you get one?! love love love this!!!! every one looks like they are having such a great time! !